After finding the optimized rim shape that best supported our svelte weight requirements, we opted to lace the rims to our Aero Flange (AF) hub, via 24 DT Swiss Aerolite spokes, which features the legendary CeramicSpeed bearings. This way you get a complete, superior wheel system—not just a quick rim. 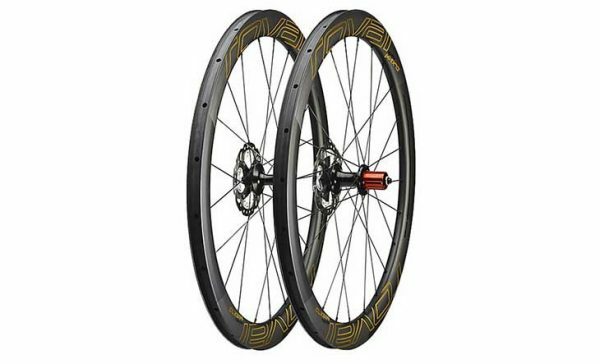 And at the end of the day, it all amounts to a 50mm-deep, 770-gram rear wheel that’s not only significantly lighter than the competition’s similar depth wheel, but is also measurably faster in every conceivable test than each wheel in its category. Even though the CLX 50 is similar in weight to many wheels in the “lightweight” category, aerodynamics came at the forefront of the development. With this, we jumped headlong into Computational Fluid Dynamics computer modeling to arrive at various rim shapes that could make the CLX 50 as fast and light as possible. It took a while, but we narrowed the rim shape down to three contenders that were then CNC-machined into rims, built into wheels, and put into the Win Tunnel. In the tunnel, we tested every wheel, ours and the competition’s, with a 24C tire (measuring 26C), as tires can drastically affect testing. We chose a modern-width tire to design our rims around, because they not only allow for less tire pressure (which results in more comfort and less rolling resistance) but are also just as aerodynamically efficient when paired with the correct rim width.